530 N Lake Shore is a full amenity high-rise in the heart of Streeterville. Built in 2003, 530 NLS has modern touches like granite and stainless kitchens, high ceilings and wood floors. Building amenities include a fitness center, valet, sun deck, bike room, dog run and on-site management. 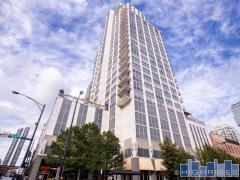 Have any comments or questions about 530 North Lake Shore? Ask your question and/or share your thoughts about this Building.